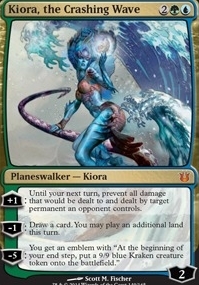 Kiora, the Crashing Wave ($2.98) Price History from major stores - Born of the Gods - MTGPrice.com Values for Ebay, Amazon and hobby stores! 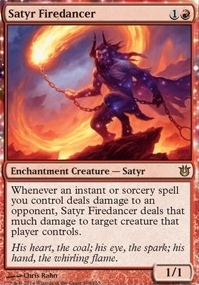 Card Text: +1: Until your next turn, prevent all damage that would be dealt to and dealt by target permanent an opponent controls. -1: Draw a card. You may play an additional land this turn. -5: You get an emblem with "At the beginning of your end step, put a 9/9 blue Kraken creature token onto the battlefield."